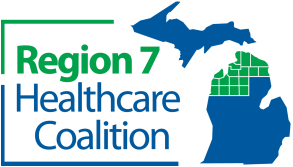 Villa Healthcare purchased a many Long Term Care (LTC) facilities around Michigan. The name changes have been cascaded through the MIHAN. Please forward this information to those that need to be made aware. 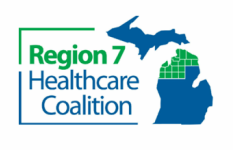 This link contains the Bureau of Community and Health Systems, LARA Federal Survey and Certification Division Team Survey Regions and contact information:http://www.michigan.gov/documents/lara/Federal_SC_Division_2-22-16_515966_7.pdf. Thank you to Region 1, for finding and sharing this information. MDHHS has many resources available to Long Term Care Agencies. Such resources include Regulations and Waivers, Regional and Local Contact Information, Upcoming Trainings, Developing Emergency Plans for Your Facility , Evacuation Planning Tools & Checklists, Hazard Vulnerability Assessment Templates, Communications and Response Systems, Memoranda of Understanding (MOU) or Mutual Aid Agreements (MOA), Incident Command System (ICS) Training Modules, Exercise Templates, Helpful Articles, LTC Staff Resources,Long Term Care Disaster Planning and much more. To see these resources in more detail, please visit the Long Term Care Disaster Planning Resources page of the MDCH website. CDC has posted a Long-Term, Home Health, and Hospice Care Planning Guide for Public Health Emergencies at http://www.cdc.gov/phpr/healthcare/planning2.htm. This Planning Guide was developed to help improve planning efforts of these healthcare entities and their coordination and integration within the community. This Planning Guide focuses on six topic areas: situational awareness, continuity of operations, facility or agency operations, crisis standards of care, staffing, and fatality management. Each topic area is presented in a manner that allows the user to develop needed sections in a facility or agency’s emergency preparedness and response plan.